Dr. Vikas Mittal - Service Provider of diabetes test strip, hypertension & heart disease in Jaipur, Rajasthan. Diabetes is the causes of the high blood sugar levels. In the diabetes the glucose (sugar) increased in the blood. The glucose should be in the blood because our body needs the glucose for energy. The sugar should not too much in the body because too much sugar in the blood not good for our body. 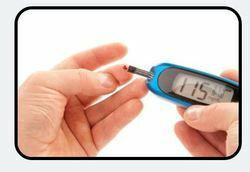 The diabetes occurs because when the pancreas cannot make sufficient insulin. Glucose is a source of the energy to our brain or body. The glucose made in the body by carbohydrate foods. The carbohydrate foods are changed into the glucose after taking the food. 1. The diabetes happens because the insulin making cells of the pancreas are removed by the immune method. The pancreas cells also known as beta cells. In the first type of the diabetes the doctors use insulin injections to control their blood sugar. Generally the diabetes happens from age of 20 and it’s may be happens at any age. 2. Our body regularly to produce insulin, even though insulin making by the body may significantly reduce over time. Although the pancreas making either nor sufficient insulin and either or the body is not able to recognize insulin and use of the insulin properly. The good treatment of the diabetes can control your blood glucose levels. The patients can control their diabetes problems through the physical activity, medication. Patient should take medicine under the expertise doctor. Blood pressure is a measurement of the force against the walls of your arteries as your heart pumps blood through your body. Hypertension is another term used to describe high blood pressure. Blood pressure readings are given as two numbers. For example, 120 over 80 (written as 120/80 mmHg). The amount of water and salt you have in your body. The condition of your kidneys, nervous system, or blood vessels. You are more likely to be told your blood pressure is too high as you get older. 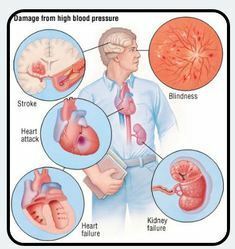 High blood pressure increases your chance of having a stroke, heart attack, heart failure, kidney disease, or early death. Heart disease describes a range of conditions that affect your heart. Diseases under the heart disease umbrella include blood vessel diseases, such as coronary artery disease; heart rhythm problems (arrhythmias); and heart defects you're born with (congenital heart defects). 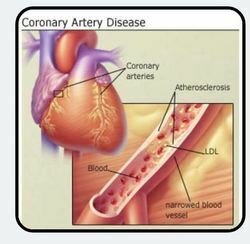 The term heart disease is often used interchangeably with the term "cardiovascular disease." Cardiovascular disease generally refers to conditions that involve narrowed or blocked blood vessels that can lead to a heart attack, chest pain (angina) or stroke. Other heart conditions, such as those that affect your heart's muscle, valves or rhythm, also are considered forms of heart disease. Arthritis is type of inflammation. It creates the point where two bones meet in one or area of body. This arthritis can damage of joint in body. There are several type overall 100 types of arthritis, all of which have different cause of treatment. Every arthritis effect on many different parts of joint in body. Generally Arthritis create among adult aged 65 years or older. Osteoarthritis is most common form of arthritis, which is generally effect on adult person. The cause of arthritis depends on form of arthritis. These genratric and family factor is also main cause of arthritis. In generally there are two types of cause of Arthritis like osteoarthritis and rheumatoid arthritis; both damage the joint in different ways. 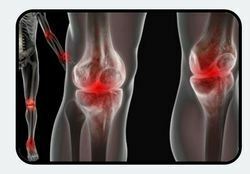 In osteoarthritis is most common it involve normal wear and tear throughout life. This type of wearing style can damage joint's cartilage. In rheumatoid create when your body's immune system attacks the tissues of the body or lining of joint capsule. Rheumatoid arthritis can eventually lead to the destruction of both bone and cartilage inside the joint. There are general cause of arthritis likes a physically demanding job, especially one with repetitive movements, your genetic makeup; Arthritis may also be caused by autoimmune disease etc. There are most common symptoms of arthritis involve the joint pain and stiffness, generally in morning, along with swelling of the joint. Gennrally if you have pain, stiffness, swelling, Redness, Decreased range of motion, fever, gland swelling, weight loss, fatigue and feeling unwell. If you are felling tired time to time then assign of rheumatoid arthritis. There is several treatment of Arthritis. This treatment reduces the pain and preventing the damage of joints. This treatment like medicine, Surgery, and physical therapy. In medicine can control the pain and some special cream used for decrease the pain. In surgery treatment surgery the replace the joint place of your body. This type of surgery can replace hips and knees. In physical therapy involving exercise that help straighten the muscles around the affected area. Headache is pain in any region of the head. Headaches may occur on one or both sides of the head are isolated to a certain location, radiate across the head from one point, or have a vise-like quality. A headache may be a sharp pain, throbbing sensation or dull ache. Headaches may appear gradually or suddenly, and they may last less than an hour or for several days. Tension-type headaches are the most common form of primary headache. They are described as feeling like a tight band around the head, with a constant, dull ache being felt on both sides. Sometimes the pain spreads to or from the neck. They normally begin slowly and gradually in the middle of the day. Tension-type headaches can be either episodic or chronic. Migraine is the second most common form of primary headache and has been ranked as the seventh-highest specific cause of disability worldwide. They can last for any amount of time between a few hours and 2-3 days. 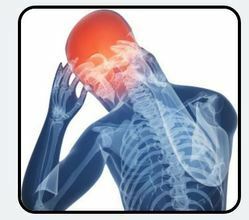 A migraine headache may cause a pulsating, throbbing pain that can occur on either one side or both sides of the head. The aching can also be accompanied by blurred vision, lightheadedness, nausea and sensory disturbances. Various other symptoms may develop, depending on the underlying cause of the anemia. A simple blood test can measure the amount of hemoglobin in your blood and count the number of red blood cells per milliliter (ml). Although this test can confirm that you are anemic, it does not identify the cause of your anemia. Sometimes the underlying cause is obvious. For example, anemia is common in pregnancy and in women who have heavy menstrual periods. In these situations, no further tests may be needed and treatment with iron tablets may be advised. However, the cause of the anemia may not be clear and so further tests may be advised. 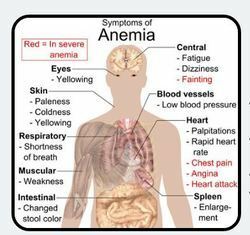 Some causes of anemia are more serious than others and it is important to find the reason for anemia. The treatment of anemia depends on the underlying cause. For many people this may simply be iron tablets. For others it may be a course of vitamins or other more complex treatments. 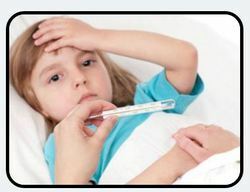 In children with fever, accompanying symptoms such as lethargy, fussiness, poor appetite, sore throat, cough, ear pain, and diarrhea are important to relay to your doctor. Depending on what's causing your fever, additional fever signs and symptoms may include? Asthma is a common long-term condition that can cause coughing, wheezing, chest tightness and breathlessness. 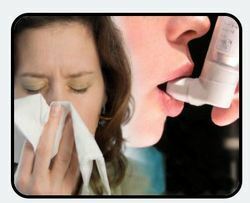 Asthma is a chronic disease involving the airways in the lungs. These airways, or bronchial tubes, allow air to come in and out of the lungs. While there is no cure for asthma, but once it is properly diagnosed and a treatment plan is in place you will be able to manage your condition, and your quality of life will improve. There are a number of treatments that can help control the condition. For most people, this will involve the occasional – or, more commonly, daily – use of medications, usually taken using an inhaler. However, identifying and avoiding possible triggers is also important. You should have a personal asthma action plan agreed with your doctor or nurse that includes information about the medicines you need to take, how to recognise when your symptoms are getting worse, and what steps to take when they do so. Someone with jaundice is likely to have a yellow look to their skin and the whites of the eyes. 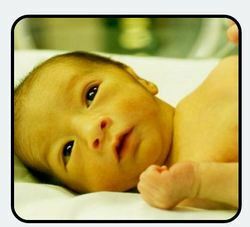 Many newborn babies develop jaundice, but the condition can affect people of all ages. This article looks at older children and adults. Stools can be pale in color and urine dark in color. Treatment depends on the cause of the underlying condition leading to jaundice and any potential complications related to it. Once a diagnosis is made, treatment can then be directed to address that particular condition. If you have signs of jaundice, seek medical advice. Treatment may consist of expectant management (watchful waiting) at home with rest. Medical treatment with intravenous fluids, medications, antibiotics or blood transfusions may be required. If a drug/toxin is the cause, these must be discontinued. In certain cases of newborn jaundice, exposing the baby to special colored lights (phototherapy) or exchange blood transfusions may be required to decrease elevated bilirubin levels. Medications are the cornerstone of tuberculosis treatment. But treating TB takes much longer than treating other types of bacterial infections. 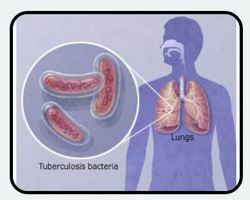 With tuberculosis, you must take antibiotics for at least six to nine months. The exact drugs and length of treatment depend on your age, overall health, possible drug resistance, the form of TB (latent or active) and the infection's location in the body.